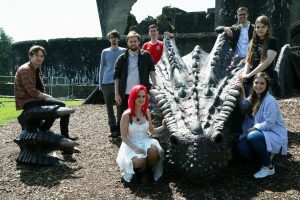 A team of University of South Wales (USW) computer animation, 3D art and visual effects experts helped to bring the Welsh dragon to life in a stunning advert promoting the nation’s castles. The group of 12 students and graduates under the leadership of director Dominic Pugh, a 3D art specialist, put together the advert for Cadw, the Welsh Government’s historic environment service. 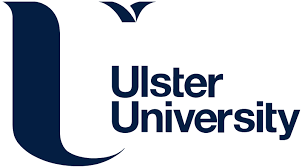 USW was approached after Equinox, Cadw’s marketing agency, saw a video made at the institution which mimics a scene from the classic film Jurassic Park – in which a T Rex smashes through the windows of the university’s ATRiuM Campus. ATRiuM – in the heart of Cardiff – provides opportunities for students to study a wide range of creative subjects including music, film and animation. Its latest expansion ATRiuM 2b will be opened in Autumn 2016 by Tony Hall, the Director General of the BBC. This is a further £15m development of professional-standard facilities in fashion, photography, dance and related disciplines alongside new fabrication workshops for media, performance and design courses, and model making facilities for animation. As the Welsh dragon advert shows, USW is a rich resource for the UK’s creative industries, from the major production studios and the BBC at Roath Lock in Cardiff to the rich ecosphere of smaller specialist creative businesses set up by graduates.